Teknos Nordica Matt is a full-matt water-borne acrylate-based paint for wooden surfaces outdoors. Teknos Nordica Matt has a matt and hard surface that is dirt-repellent and retains its appearance and colour for a very long time. Teknos Nordica Matt is formulated for new and previously with acrylate and oil paint painted wooden surfaces and for industrially primed and/or undercoated wooden surfaces, e.g. exterior walls, fascia boards and weather boards. Treat the surface as soon as possible. The best time for impregnation and priming would be in the summer of the same year of the construction. Remove from the surface all loose matter, dirt, dust and mildew. If needed, use Rensa Facade Cleaner façade cleaner. Replace wooden parts that are in poor condition. Remove loose matter, dirt and dust. Remove loose and poorly adherent old paint. Wash the surface with Rensa Facade Cleaner facade cleaner. Remove the deteriorated paint coats carefully. The adherence of an old thick paint layer to the substrate may have been weakened, therefore the paint should be removed completely although the paint film looks intact. The old paint layer is removed by scraping, by wire brushing or by burning off (e.g. by warm-air heater or infrared heater). Paint remover or blasting can be used. Clean rusty steel parts: by sanding, or wire brushing. Prime bare wooden surfaces with clear Teknos Woodex Aqua Base priming oil. If the wooden surface is old and primed with oil or painted with oil paint, solvent-borne Teknos Woodex Base priming oil is used. Once the above priming has been performed, the surface should then primed with Teknos Nordica Primer. If the surface is primed with the solvent based primer, use solvent-borne Teknos Puupohja alkyd primer diluted 10-15 % by volume. Rusting steel surfaces should be primed with Teknos Ferrex Aqua anti-corrosive paint. Also the end grains of industrially primed and/or undercoated timber needs to be treated with priming oil or primed before applying top coat. Before use stir the paint thoroughly. Dilute the paint 5 - 10 % by volume by water, when required. Reserve a sufficient amount of paint in the same vessel for each uniform surface. Colour differences will thus be avoided. Apply the paint by brush. 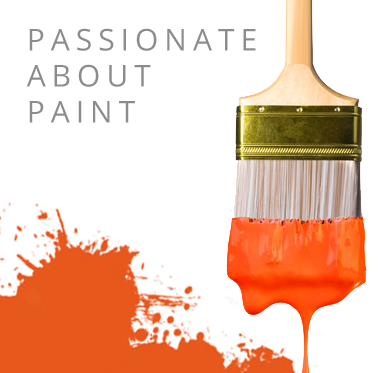 If the paint is applied by airless spray, the surface is to be finished by a brush. Recommended airless spray nozzle is 0.015 - 0.019". Cleaner / Thinner: Water. Wash the equipment immediately after use with detergent and warm water.